The different tools that you use for hunting different kinds of animals are similar to The way fishermen using different rods or baits for different species of fish. In terms of turkey hunting, you’ll come across something called a broadhead. This review will discuss the various broadheads on the market and their particular features and what exactly makes them some of the best arrowheads to effectively hunt turkey. A turkey broadhead is a special arrowhead designed specifically for turkey hunting. They’re designed to penetrate the toughest of turkey skin and bring the bird to a complete stop. The way that it stops the turkey from fleeing is by creating a huge impact wound and inflicting severe internal damage which the turkey won’t be able to recover from. The blades used on these broadheads are extremely sharp and sturdy to inflict the most damage possible. There are more features than sharpness and strong material which make these broadheads so special. There are multiple features that make a turkey broadhead one of the best on the market. The following section will discuss the various features and qualities of a high-quality turkey broadhead. There are a few types of turkey broadheads you’ll find throughout the market, all with a few unique features. 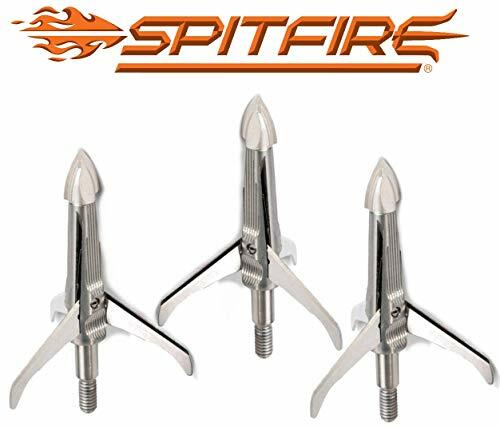 This variation is the traditional type of broadheads and is one of the most popular. A simple design which will allow for clean and easy penetration through the turkey. They can either be glued or screwed onto the arrow shaft. These broadheads are regarded as some of the most reliable on the market. However, their required regular maintenance can be an issue. This blade is another widely used type of broadhead as it’s extremely effective in penetrating the turkey and sticking inside the wound to create even more damage every time it moves. Before firing a shot, you’ll need to retract the blades, and once it penetrates the turkey, these blades expand and stick inside the bird, making it almost impossible for them to shake it off. The one downside of these broadheads is that they often lack any support for the trailing edge of your arrow. These broadheads are easily spotted due to their long blades that are designed for clean cuts. One of the main attractions of this particular broadhead is that they can be removed and replaced with new blades without throwing the full broadhead away. The only disadvantage of this type of broadhead is that they don’t offer the same success rate as other types of broadheads. The materials that are used on these products should be highly durable and made to last. You need to keep an eye out for materials such as stainless steel or other high-quality metals. If you go for a cheaper material you could run the risk of the broadhead shattering inside the turkey which can be incredibly hard to remove. The rule is: the more blades the better. Your broadheads should have more than three blades for maximum damage. With over three blades you’ll also benefit from plenty of blood coming from the turkey which means you’ll be able to successfully track the animal if it manages to run away. The amount of blades usually relates to what type of broadhead you’re using. However, this isn’t always the case, so keep your eye out for broadheads that have three or more blades. One of the most important parts of this article is the review. This is the section where we discuss, in detail, the various features and pros and cons of each product we believe to be one of the best currently on the market. 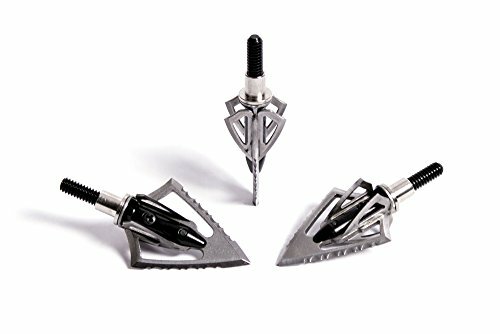 This Rage Broadheads are known for the massive amounts of damage they can cause because of their mechanical blade that will open inside the turkey so that it doesn’t fall out. The more the animal moves with this type of broadhead, the more damage is caused. The sleek design of the product was created to provide a more aerodynamic flight for the arrow which results in greater accuracy. Because of the speed at which you’ll be releasing your arrow, the broadhead might make impact at a damaging speed. However, a shock collar has been built into the body of the broadhead which limits any damage to the broadhead itself caused by the impact. The stainless steel blades also have a two-inch cutting diameter, which is perfect for causing a lethal blow to the turkey. You’ll also be given a free practice broadhead which can be used to improve your shot without damaging or wearing down any of your proper broadheads. 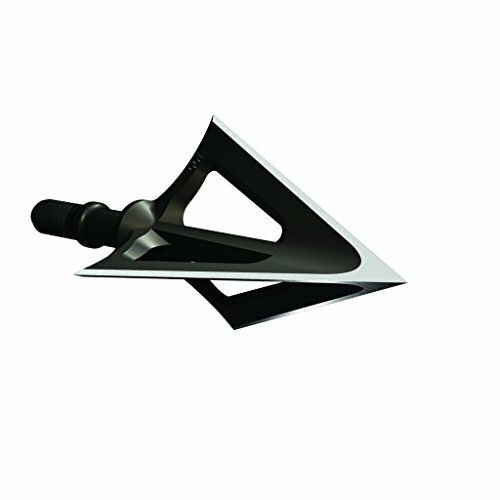 This broadhead is without a doubt, the best on this list and we believe it to be the best currently on the market. It has plenty to offer like the stainless steel blades that will retain their sharp, two-inch diameter and are able to penetrate the toughest of turkey skin. The shock absorbing collar will greatly limit the force felt by the broadhead on impact, which is a common reason why other broadheads break over time. The aerodynamic design is also another big bonus, as most expandable blades like this offer the smoothest of flight paths. The only problem with this product is that it might take longer to load as you have retract the blades before firing. The four-inch cutting diameter of this broadhead is what attracts most hunters to this product. This broadhead was designed for destruction and that’s exactly what it’ll do. The mechanical ability will allow the broadhead to stick inside the turkey, making it impossible to shake off without causing even more damage. The product is also protected by the stainless steel construction, as this will increase durability and protect against all of those high-speed impacts. It ensures a smooth and aerodynamic flight that will result in a clean shot with a huge exit wound through the other side. There is no way that this broadhead won’t cause enough damage for a heavy blood trail. The animal won’t get far before it collapses, if it survives the initial shot. This product is one of the best currently on the market. The broadhead is made from stainless steel meaning that it’ll be extremely durable, even against repeated high-speed impacts. The four-inch cutting diameter is a huge advantage, as this will create an even larger entry and exit wound than the previous product which means even more blood will be spilled in order to successfully track the turkey. The mechanical design is what makes it so deadly as these retractable prongs will snap into place once they’re embedded into the turkey and can’t be shaken off without causing significant damage. The only downsides to this product are that the prongs make a clicking noise when retracted, which could scare any local turkey and they also take longer to load because of these retractable prongs. 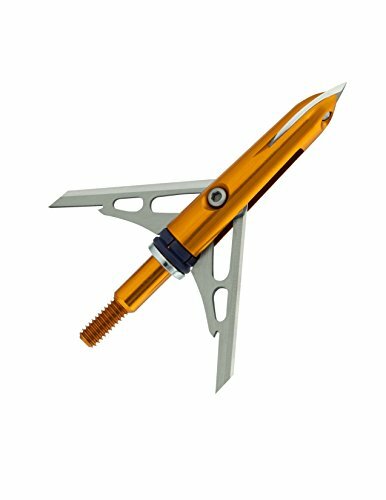 This broadhead has an aluminum body, this is the same grade of aluminum used on aircraft, ensuring its durability. The high carbon steel point is also what makes this product extremely durable and protected against high-speed impacts that would previously dent or damage any normal arrowheads. The two blade broadhead has a two-inch cutting diameter, which is decent for penetrating the body of any turkey and latching on to cause even more damage. The result of such an effective broadhead is that the animal won’t be able to escape far once struck by one of these, and if they do manage to travel, the trail will be so bloody that there’s no way you won’t be able to find them. The broadhead’s durability is great and the high-grade carbon steel point will have almost no chance of actually being damaged, even through high-speed impacts. The two blades will also allow for severe and deep wounds that will make it easier to track and kill. The aluminum body also adds extra certainty to the durability and reliability of the structure. However, there are a few downsides to be aware of with this broadhead. The aluminum structure has more chance of denting compared to stainless steel, which most broadheads are made from. This product also only has two blades, which means it has more chance of falling out after a struggle and won’t cause as much damage as other products. This turkey broadhead is of the fixed blade type. These are some of the most reliable and widely used broadheads on the market. The single fixed blade is known to be so sharp that it will penetrate the tough skin of the turkey and seamlessly just glide through the rest of the body out the other end. The single blade is well-known for being extremely deadly and accurate which is why these are the oldest and most traditional variation, because they can be relied upon. These blades do require regular maintenance to ensure the sharpness of the blade for maximum effectiveness. This blade has a cutting diameter of 1/16-inch, which is decent enough to cause severe damage to the turkey at the right spot. A fixed broadhead blade is one of the most reliable broadheads on the market. They’re deadly if shot at the right place, as they’ll easily glide right through the turkey, tearing apart anything it comes into contact with. You’ll be benefiting from a deadly reputation that has lasted for years as hunters use this variation continuously for their hunts. The only downsides with using this product are that it has a small cutting diameter as it only has a single blade, so the damage will be limited, requiring a more accurate shot. Also, with every hunting trip, you’ll need to sharpen your blades back to working order as they can become dull after a few shots. This fixed blade broadhead is completely different from the more traditional version. What gives this product such an edge are the six serrated blades that have been designed for maximum damage. These blades will cause up to 250% greater wounds than that of a standard broadhead. The broadhead has also been created with an aerodynamic design that will ensure balance and pinpoint precision for the deadliest shots possible. The blades themselves have been crafted using stainless steel which makes these blades extremely durable no matter what speed they impact at. The main body is made from airplane-grade aluminum which is also highly durable. This broadhead comes off as a deadly piece of kit. The six serrated blades are what make this broadhead so dangerous and reliable at hunting turkey. Each blade has a serrated edge which will just rip apart anything it comes into contact with. The power also comes from the aerodynamic design which ensures the steady speed and impact of this broadhead. What protects the broadhead from such force are the durable materials used to make the broadhead, such as the stainless steel and aluminum. The only downsides are that the cutting diameter is pretty small so the damage would be limited. Another problem is having to maintain the serrated edges, as this would require more skill than just a normal sharp blade. There are plenty of benefits that come with using a turkey broadhead for hunting, and like all great products, there are also a few downsides. The following section will discuss these benefits and disadvantages in more detail. Broadheads, no matter what type, are extremely effective at penetrating the toughest skin and causing some serious damage. Some variations are designed to spread out inside the wound and shred the inside further to completely incapacitate the bird. A decent quality broadhead will be made from some of the strongest materials such as stainless steel. These broadheads will last you a long time and will have a very low chance of being damaged. You’ll not be picking any shards of metal out of your turkey dinner anytime soon. You should always be able to trust that your broadhead will be able to carry out its job with extreme accuracy and effectiveness. Even the poorest performing broadheads will provide you with a better success rate than your standard arrowhead. Broadheads are designed for killing, and that’s exactly what they’re best at. Like all great products, they come at a price. Depending on the type of broadhead that you’re going for, you’ll need to fork out a few bucks. However, you can get standard turkey broadheads that are the most reliable and widely used for a good price. This downside is mainly for guillotine broadheads. Some need more maintenance than others, regardless, all of your broadheads will need to be regularly cleaned and kept in working shape so that you’ll benefit from a clean kill while hunting. These products are designed to be highly effective at killing. However, this will only happen if you take care of them, and this takes up precious time. There are plenty of factors that come into consideration when determining what makes a great turkey broadhead. You should always make sure you’re going for the best-suited variation of broadhead, as they’ve all got their unique features that come in useful in different situations or in various methods of hunting. Hopefully, this article has helped you find your next set of turkey broadheads and even taught you a few things on how to find the best broadheads. Killing a turkey with a bow is one of hunting’s greatest challenges. Successfully hunting turkeys is difficult enough with a shotgun. A bow just complicates matters further. The vital area on a turkey is very small, leaving little room for error. The correct broadhead can be the difference between success and failure. Dan Ellyson of A1 Archery in Hudson, Wisconsin recommends mechanical broadheads for turkey hunting. They create large entrance wounds and massive internal destruction. 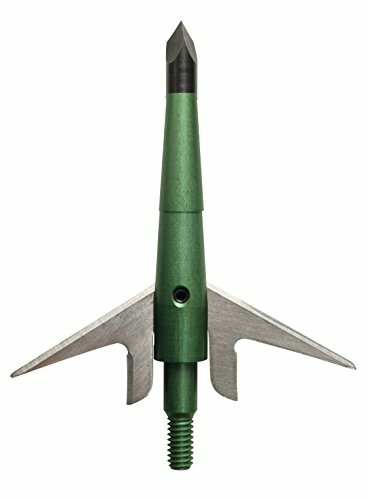 Specifically, Ellyson and the A1 ProStaffers use Rocket Broadheads. He likes the Miniblaster for shooting through ground blind material and the Hammerhead in all other applications. The 100 grain Hammerhead provides a two inch cut channel. The 75 grain Miniblaster features an 1 ¾” cut. No matter which mechanical broadhead you use, Ellyson recommends targeting turkeys right above the legs. He calls it, “shooting for the drumsticks”. He says taking out the legs will put the broadhead right into the vitals and makes it impossible for turkeys to run away, thus a crippled bird is much easier to track and kill. Guillotine style broadheads are very popular with turkey hunters right now. The Gobbler Guillotine and the Magnus Bullhead are the two most popular. These broadheads are only effective for head shots. This limits their effectiveness to 15 or perhaps 20 yards since the potential target is much smaller. There are also significant arrow and bow considerations to make before shooting these broadheads. On the plus side, with a guillotine style broadhead you will either make a clean miss or completely decimate a gobbler. Choosing the correct broadhead is one of many factors leading to successfully taking a turkey with archery equipment. In this edition of Foremosthunting.com's Archery Journal, Dan Ellyson of A1 Archery shows us his favorite broadheads for turkey hunting and how they are best utilized.